YOU ARE THEIR FUTURE. DONATE TODAY. YOU ARE THEIR FUTURE. PLEASE SUPPORT US TODAY! 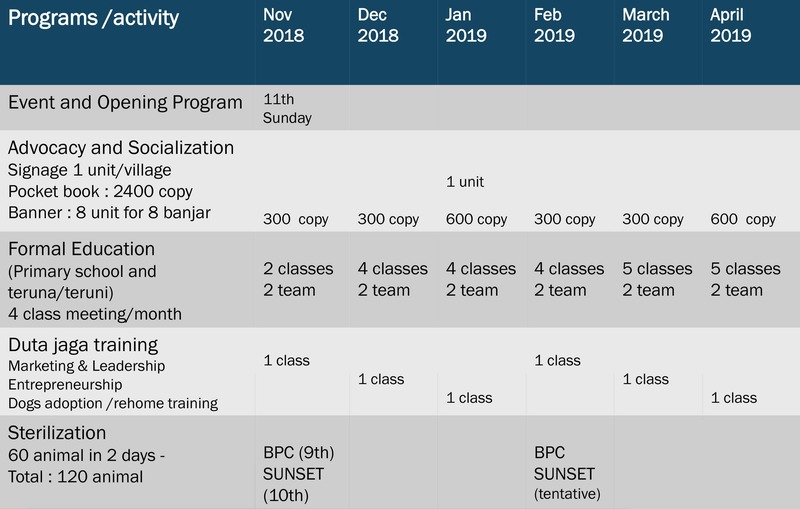 Over the past 6 months Mission Paws’ible, in collaboration with Yayasan Seva Bhuana, have been working hard to create a sustainable project that will support the local community through education, activation and empowerment for the betterment of their animals, their environment and their lives. 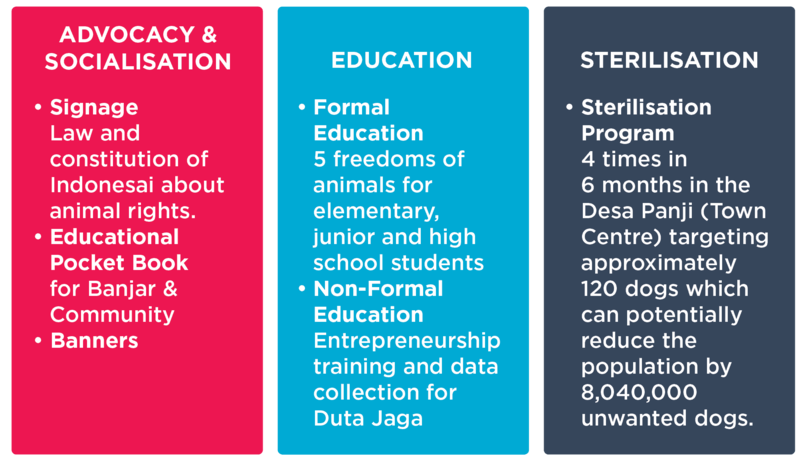 That future starts with educating people about the importance of sterilisation, vaccination, general pet care and, most importantly, compassion. We are about to start something big and we want you to be part of making REAL change for the animals of Bali, Indonesia and beyond. I have been in ‘rescue’ for many years.  I’ve helped create and build various projects and facilities that support rescue work. I have seen tragedy after tragedy and cases of sheer miracle splendour of recovery. But then it got me thinking, why do we celebrate the transformation of animals that should NEVER be in this condition? If the pain, suffering and neglect didn’t occur then we wouldn’t need to rescue. 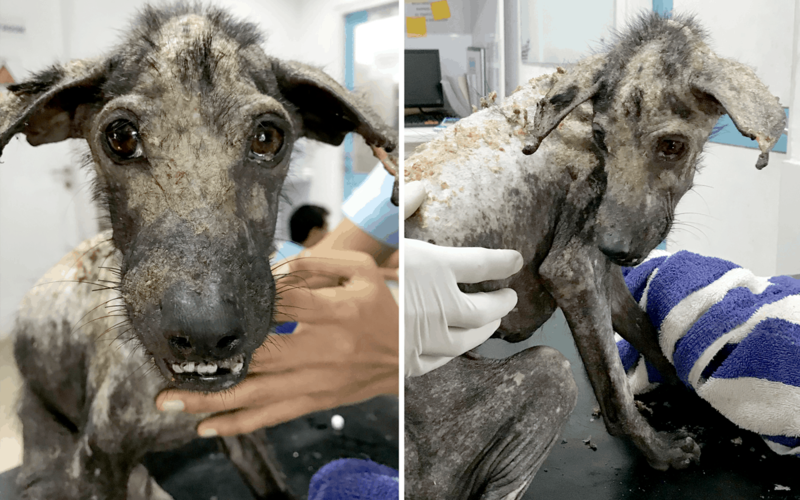 Twiggy isn’t just another rescue, Twiggy is the catalyst for change and the inspiration behind our new education program called PROYEK PEDULI (Project Care). Twiggy was one of those cases. One that I firmly believed would ‘make it’. She didn’t. She died. She didn’t need to, but she did. It was my promise to her, as she took her last breath, that I would work harder to prevent this suffering rather than run around picking them up. I still rescue, but I want to work harder and more strategically at reducing the amount of rescue by helping humans help the animals. But how? How on earth do you infiltrate and entire population on zero budget? You dream. You dream BIG and we ask for your help to make this dream a reality. It is time we, the human race, take responsibility for the world we live in. We will do this through education, activation and empowerment. Supporting a village from behind as they rise up to creating a happier and healthier environment for the humans and their animals! We are building the ultimate SU’PAWT SQAUD and we want you to be part of this EPIC journey! 2. 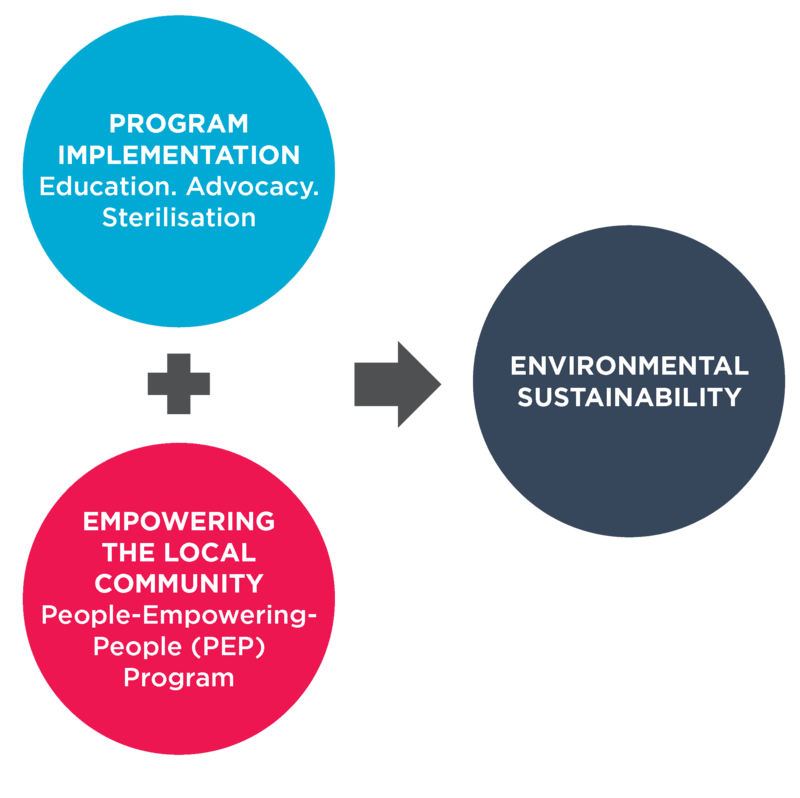 Environment sustainability: education and training for people or group to educating and maintaining their own area which they will provide data and statistics for NGOs that will be use for population management cause in each area. Bali has a huge stray dog population problem with an estimated 500,000 roaming dogs coupled with a Rabies epidemic. The best way to reduce this population and fatal disease is through mass sterilisation and vaccination. 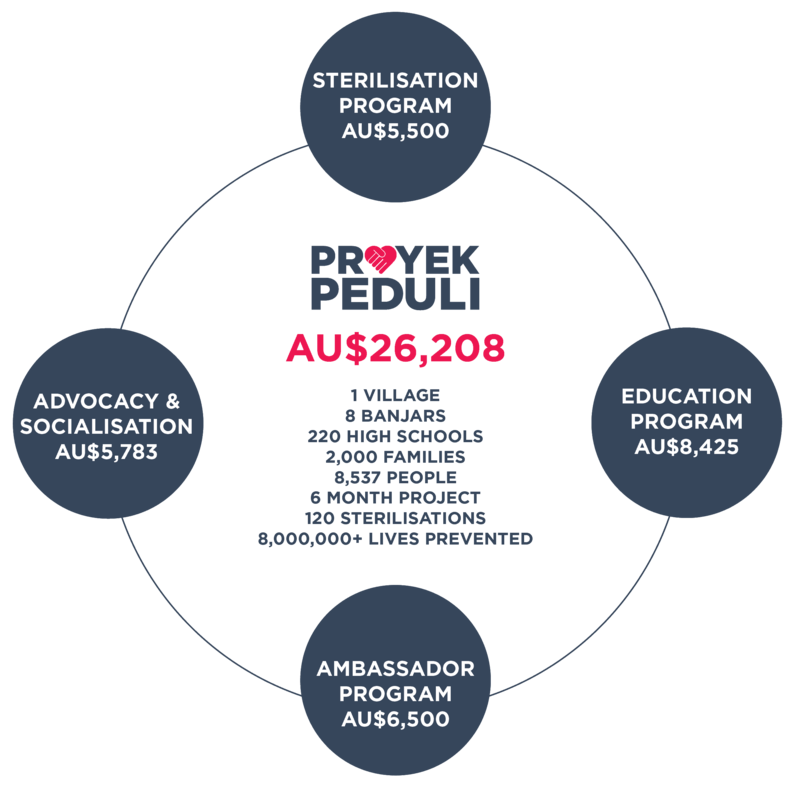 Working with Bali Pet Crusaders, the only mobile sterilisation team in Bali working every day focused solely on sterilisation, and local vets, we will provide these services to the poorer communities. Through mass sterilisation we are preventing the births of hundreds-of-thousands of dogs and cats who suffer. This doesn’t need to happen if we can help the community with our program. On this Program, Proyek Peduli team will collaborate with SAVE BULELENG DOG from Buleleng Regency. This Community already helps their environment in Buleleng for doing sterilisation with Bali Pet Crusaders since 1 year ago. During that time they were highly active to do rescue, fostering and re-home stray dogs in Buleleng. Proyek Peduli team will support them and with joining our program as DUTA JAGA (Ambassadors) we will educate and empower them with the knowledge and tools needed to help the animals and people in their area. 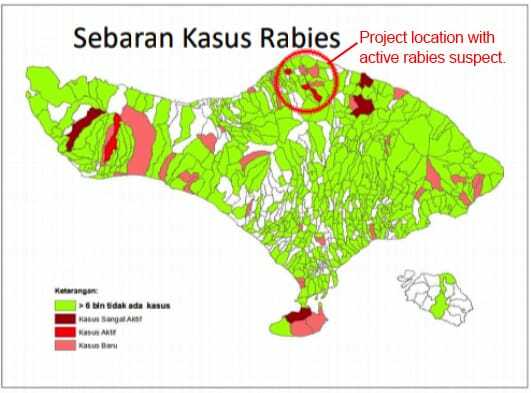 Our Proyek Peduli Ambassadors will collect datas and more specific field reports about animals in their village to prevent rabies, dumping dogs cases and be independent as rescuers in their own area (Panji village). Indonesian animal welfare laws and policy of animal rights and laws about the Dog Meat Trade which will include the letter from the Governor confirming this information. • Statue and placard for Banjar at completion of successful project to symbolise their care for their village and surrounds. BECOME OUR PATRON/SPONSOR AND JOIN OUR TEAM!